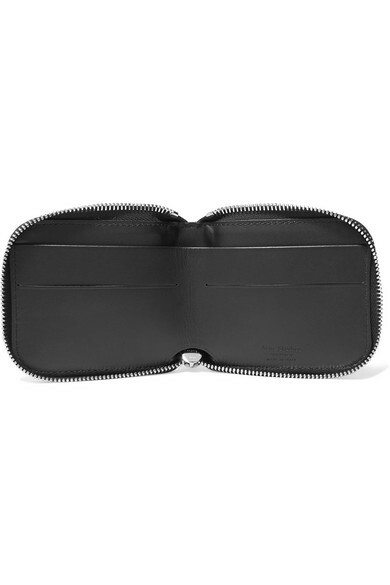 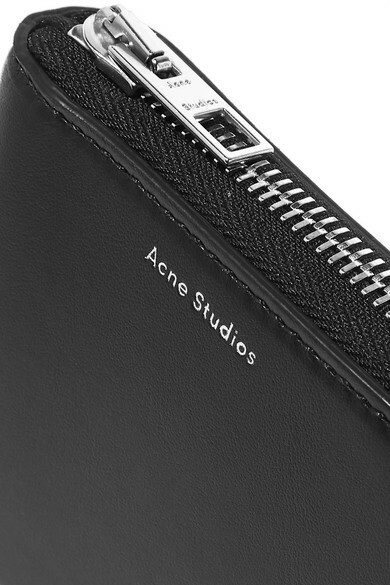 Acne Studios' 'Kei S' wallet is fitted with just enough pockets to keep your bills and most-used cards organized. 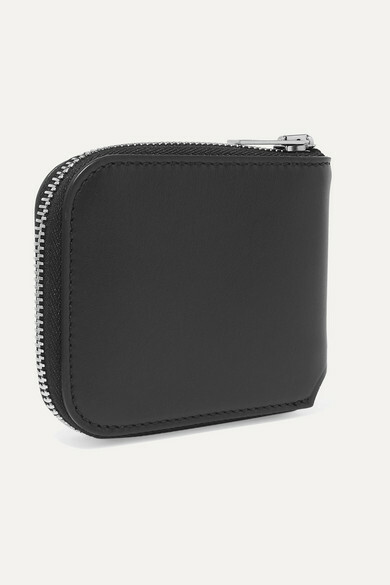 Made in Italy from smooth black leather, it's minimally detailed with the label's moniker in silver letters and perfectly sized to slip in your basket bag or tote. 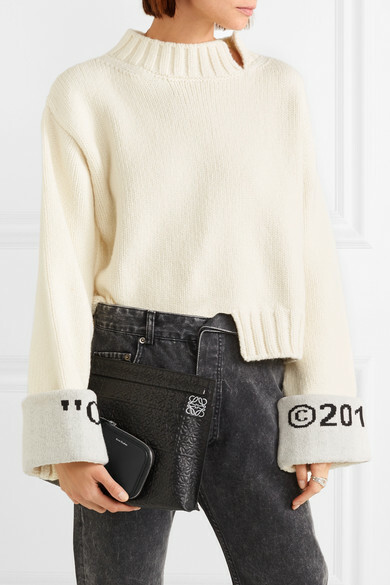 Shown here with: Off-White Sweater, Y/PROJECT Jeans, Stella McCartney Sneakers, Sophie Buhai Earrings, Sophie Buhai Rings.